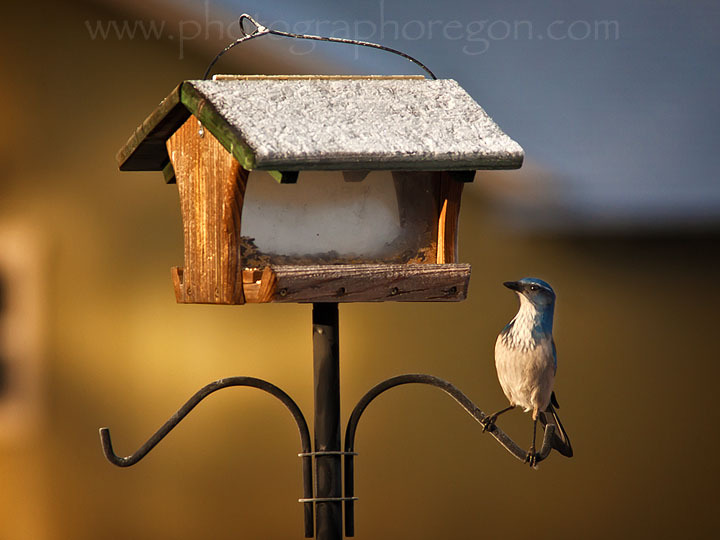 Watching Oregon backyard birds is one of the most popular sports! Bird stations abound. Mine double as deer feeders. You never know what will show up at your feeder. 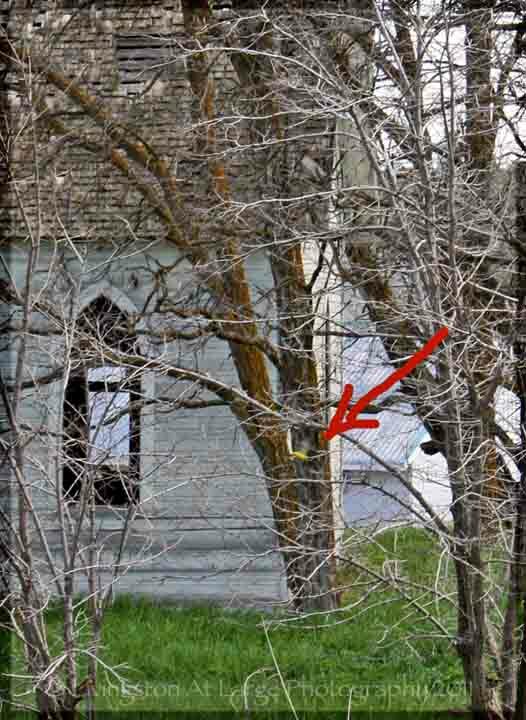 One morning I heard all this commotion and looked out thinking some Jays were up to their tricks….and saw an African Gray parrot hanging precariously off the plastic swinging (REALLY swinging) feeder! I am trying to set up a better station for my backyard birds (in my spare time). 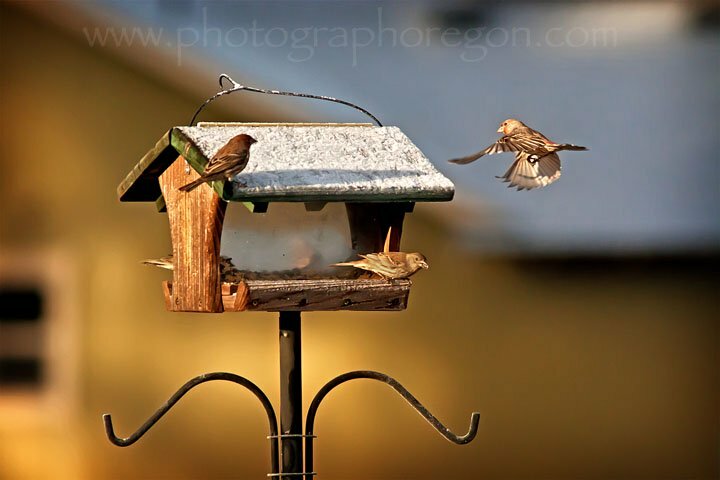 I’ll start you off with these little house finches. I got these with a 400MM Canon L lens with a 1.4x teleconverter, playing with lens rentals that I got from ATS Rentals. 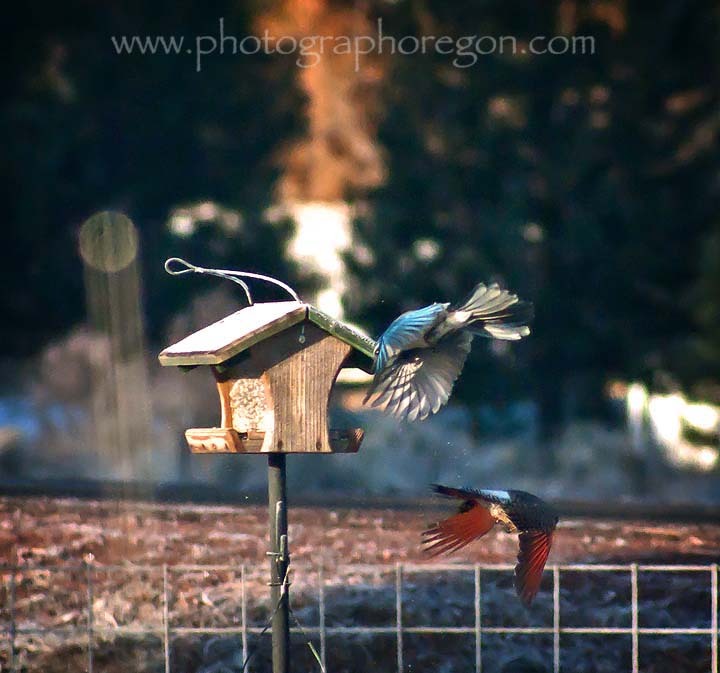 The other day I caught a scrub jay and a red shafted flicker fighting over the feeder.This was shot across the yard, through a double pane window. …and this was with another older lens through a window and screen. 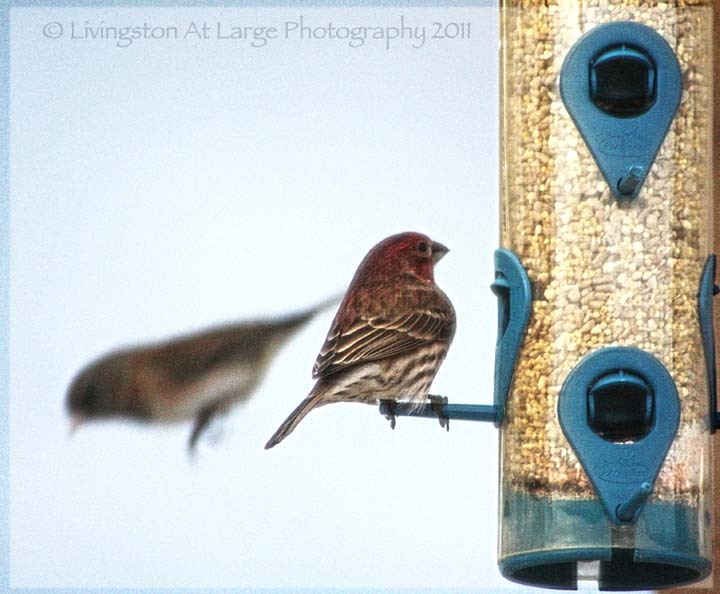 These are a male (red) and a female house finch. 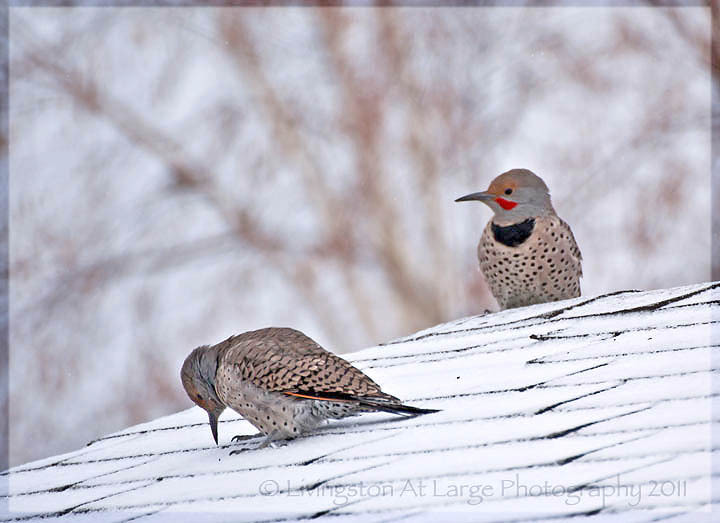 The last couple of years my favorite bird in my backyard has been a young male Northern Flicker that showed up. He makes the most pitiful sound if the feeder is empty. This year he showed up with a lady friend. Our ever-present blue jays come in many forms. I get a lot of Stellar Jays and I'll squeeze one in here soon because they are lovely. Here’s a Scrub Jay. We get a ton of these characters. In my yard we also have european starlings, LOTS of european starlings, brewers blackbirds, chickadees, western bluebirds, mountain bluebirds, collared doves barn swallows and many others. In friends yards I’ve seen grouse, tanagers, goldfinches and a host of other little birds. I think one of my favorites of the Oregon birds is the western tanager. I’ve seen TWO ever here and they are fast little suckers so this is all I got. This pair was hanging out behind the old abandoned Methodist church in Grass Valley. (Pictured on the home page). So, not really MY backyard, more like God’s back yard. 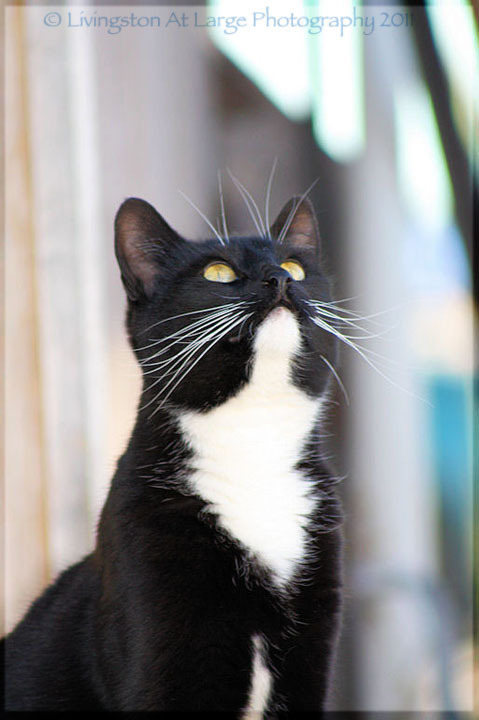 Charlotte, is our most diligent bird watcher. Happily, she is rarely successful at capture. Show us YOUR backyard birds!